We are very busy gearing up for our May 3-5 Show at Emerald Point Marina! This show is only 3 days so mark your calendar. This show is the best way to see all local dealers in one place with new and used boats all in the water. Come by land or boat! MORE INFO ABOUT THE IN THE WATER SHOW! 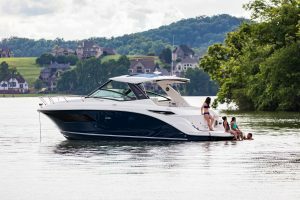 Check out just some of the boats that will be at the In the Water Boat Show!